Apple's biggest manufacturing partner making preparations to turn this thing into a reality. We have a source who claims to have seen a prototype Apple high-definition television set in action, indicating that Apple is readying the long-awaited device for market. According to our source, who has asked to remain strictly anonymous, the Apple HDTV looks like Apple’s current lineup of LED-backlit Cinema Displays but is “much bigger.” It has a built-in iSight camera for making free FaceTime video conference calls. And it has Siri, the iPhone 4S’s voice-activated virtual assistant. Apple has been rumored to be working on a proper television set for some time, but so far the company’s presence in the living room has been modest, maxing out with the current Apple TV — a small set-top box that is hooked to owners’ existing televisions. Apple describes the current Apple TV as a “hobby,” acknowledging that the device’s features are limited and that it is not a serious attempt by the company to enter the television market. Such an attempt could revolutionize the living room and disrupt the businesses of the television industry, much like what happened when Apple released the original iPhone back in 2007. TV — and especially cable — is widely seen as ripe for some Apple-like disruption. Rumors that Apple was planning a full frontal assault on the living room reached a fever pitch last year, when Walter Isaacson’s biography of Steve Jobs revealed that Jobs claimed he had “cracked” TV. 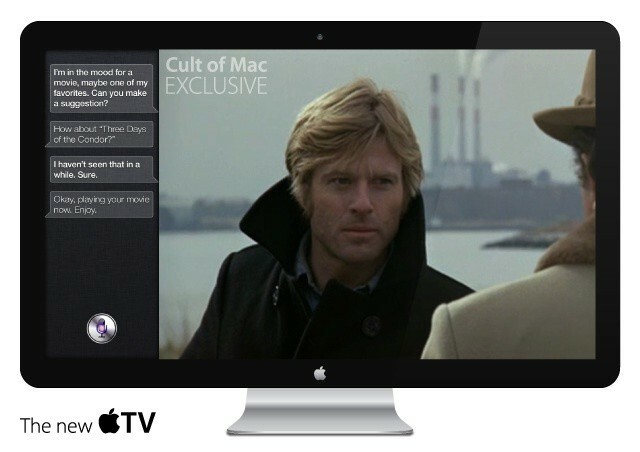 According to our source, the Apple TV looks a lot like Apple’s current lineup of Cinema Display monitors. “It resembled an Apple monitor, only much larger,” our source said. In addition, calls are initiated by Siri, the iPhone 4S’s virtual assistant. “[Apple] used Siri to make a FaceTime call,” the source said. Unfortunately, we don’t know any more about other Siri integration, or the TV’s interface in general. We also don’t know the specs, pricing or release schedule. Our source is well-placed and has provided us with great tips in the past. However, not all of them have panned out, ostensibly due to the fact that our source tends to see products in the prototype or early development stage and Apple doesn’t always ultimately choose to release them. We hope this is one of our source’s tips about an upcoming Apple product that actually sees market. UPDATE: For comment, we reached out to TV analyst Paul Gagnon, Director of North American TV Research for NPD DisplaySearch. Gagnon said he didn’t have any hard information, but expects Apple to introduce a line of TVs this year. He noted that Apple’s Chinese supplier, Foxconn, has invested $1.6 billion in Sharp’s TV unit, which can efficiently make large size panels up to 60-inches. 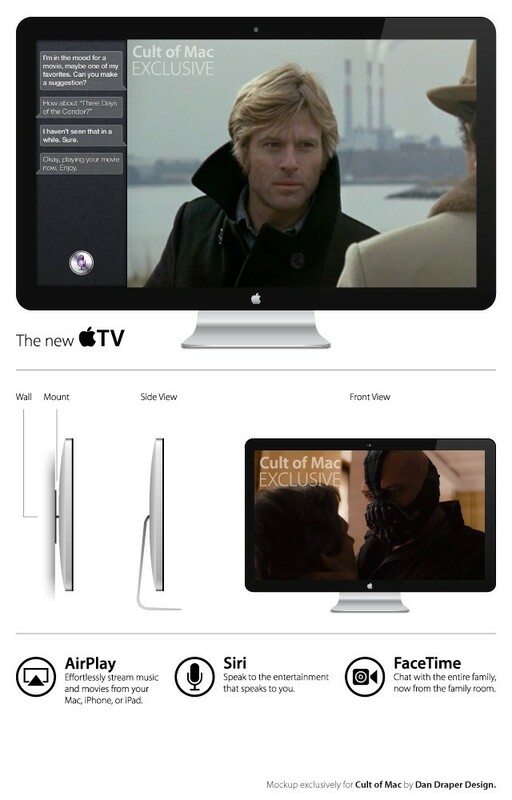 Speculating, Gagnon Apple’s TVs will likely be pretty conventional in terms of hardware. They will not be anything exotic like OLED or 4K resolution. There will likely be two to four models ranging from 40-inches to 60-inches. They will be standard 1920 x 1080p resolution and cost between $1,000 to $2,000 or slightly higher. When might they ship? “Our best guess is 2013,” Gagnon said.